How do I buy my next investment property sooner? 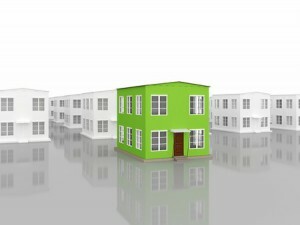 How do you buy your next investment property sooner? To answer Carly’s question, I recently chatted with George Raptis, director of Metropole Property Strategists in Sydney. Kevin: George, what would you say to Carly? George: There are a number of suggestions I have for Carly. First of all, it’s important to buy the right property so that you get capital growth and therefore more equity which gives you the ability to borrow your next deposit. In a lot of cases, it’s just too hard to save the deposit. Another thing I’d like to suggest is make sure you are attractive to the lenders. In other words, have a good income, a good credit record, have all your accounts in order, no large credit card debts or any significant personal loans, and make sure you’ve got all your tax returns up to date. Then make sure you are achieving the right rental return for your property. A little extra rent can can increase the amount that you can borrow for the next property. Lastly, spend less than you earn, save the difference and invest it. Kevin: The first point you mentioned there about how hard it is to save for the next deposit, tell me a little bit more about what you mean by that, and how long does it take to build the equity to get the next deposit? Firstly rather than saving the next deposit, strong capital growth of your existing property will create equity which you can use for your next deposit. Also with regards to finance, I’ve spoken to a number of people where they would like to save a 20% deposit because they want to not have mortgage lenders insurance coming into effect. But I’ve found that in some cases, if they’ve saved the 10% deposit, they can take on the mortgage lenders insurance. In other words, it gets them into the market sooner rather than later. It’s just too hard to save another 10% deposit in a lot of cases. Kevin: Yes. Take on that insurance is what you are saying, and don’t fret over it? George: No. I call it cost of doing business. Kevin: The other point you made there, too, was about making yourself more attractive to the banks, and you gave a couple of hints there – about making sure that your credit cards are under control and so on. Is it that simple or is it about having a relationship with your bank manager? George: Having a relationship with a bank manager is good, but at the end of the day, different lenders all have different rules. I know for a fact that some banks will look at 100% of the rental income when it comes in to factoring in how much they’ll lend you. Other banks will factor in 90%, or some will even go as low as 80%. It’s very important to do your homework, shop around or use a mortgage broker ho help you discover what the various lenders have on offer. Kevin: You are a buyer’s agent, so you’re dealing with buyers all the time. How are you finding them in terms of their relationship with the banks, and what sort of preparation should they be going through? Should they be talking to you first, or should they be talking to their financier first? George: While it’s nice to have the good relationship with the financier, but if you don’t a property strategy in place when you’re going to have this conversation with a financier, it’s really putting the cart before the horse. Kevin: A buyer’s agent’s role in all of this is to actually help Carly find the best property? Getting the right ownership structures in place – it’s about dotting all the I’s and crossing all the T’s prior to getting out here and getting finance. Making sure she buys the right property to implement her strategy. Regularly reviewing her property portfolio to make sure she’s on track. Kevin: As you can see, Carly, it’s not just as simple as knowing when to do it. It’s a matter of having that strategy in place, which is what George has mentioned. George, I want to thank you for your time. 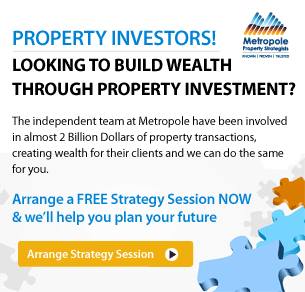 George Raptis is from Metropole Property Strategists in Sydney. Great to talk to you, mate. Thanks for your time.